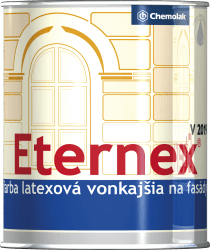 is used for coating of dry walling, plaster, concrete, paper, woodfi bre and cement-lime boards etc. The paint is applicable also as a decorative paint in interiors. It is resistant to weather conditions, creates a flexible and light – permanent coating.